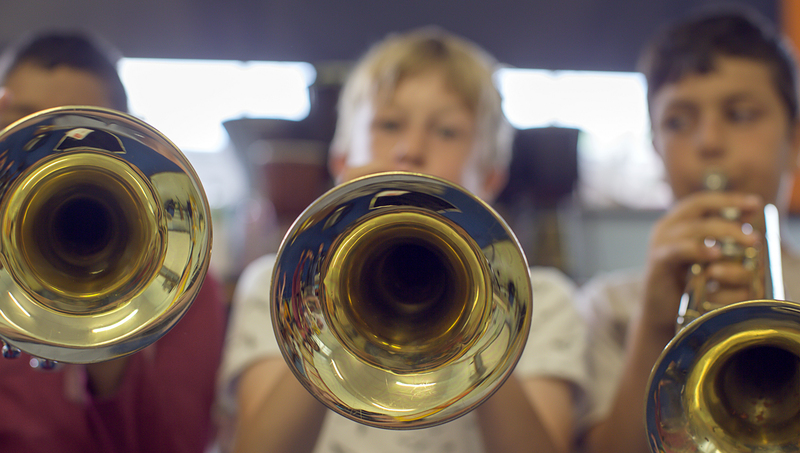 At Campsbourne we know that music is central to a child’s development and strive to afford all of our young people the opportunity to engage in meaningful musical activities. Our aim is to encourage the full development of each student’s musical potential, providing a broad and balanced range of musical opportunities both inside the classroom and beyond. This includes participation in singing, composing, performing, listening and appraising. At Campsbourne the children not only learn about music. They become singers and musicians, developing their musical fluency by sharing, producing and collaborating together. Children are taught by our specialist music teacher in our designated music room. Our music curriculum, which can be viewed here, is taught to all pupils from Reception through to Year 6 and aims to be challenging, ambitious and engaging, building on skills and understanding at every level. At Campsbourne we have a number of visiting teachers who deliver lessons one-to-one and in small groups. Alternatively, download the application form, or apply online on their website. If you would like your child to learn an instrument that is not listed above, please contact the school as this may be possible to arrange. We offer a range of extra-curricular music clubs and ensembles for learners of all abilities.